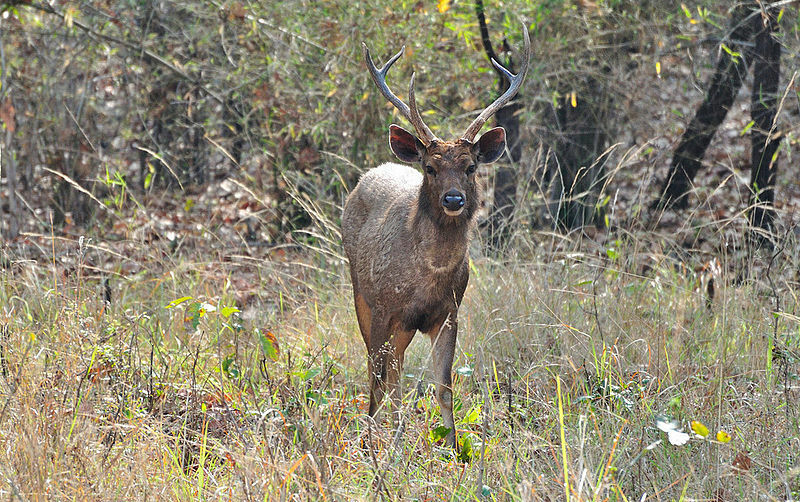 Tadoba Andhari Tiger reserve. 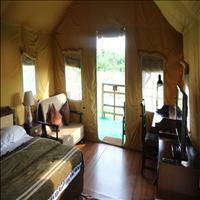 Tadoba comes from the mythological figure worshipped by the tribals who live in the nearby forests. Andhari is the river which flows through these dense but deciduous forests. The National aprk has derived its name from these two important names. Legend holds that Taru was a village chief who was killed in a mythological encounter with a tiger. A shrine dedicated to the God Taru now exists beneath a huge tree, on the banks of the Tadoba Lake. The area was ruled by the Gond kings and surprisingly enough, hunting was banned by the kings since 1935. 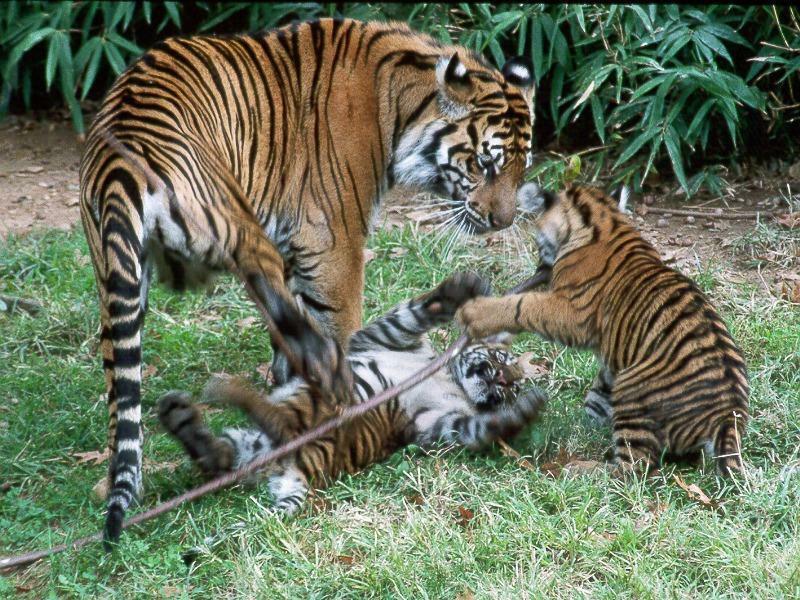 Perhaps this is the reason for the ever growing population of tigers in this area. 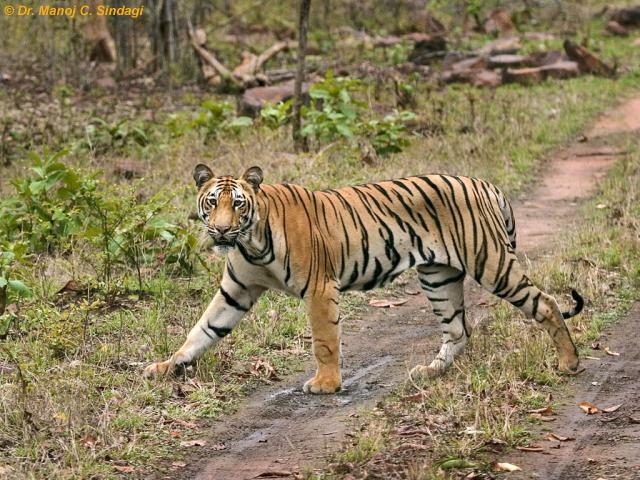 Due to the deciduous forests, Tigers are said to be sited the most, more than any other Tiger reserves of India, at the Tadoba Andhari tiger reserve. 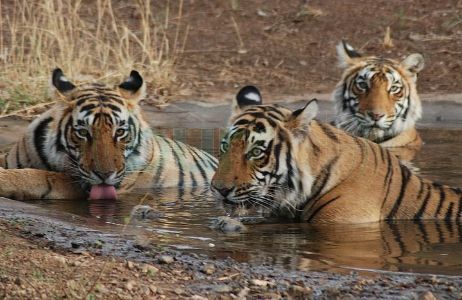 Apart from the 65 species Bengal tiger, Tadoba Tiger Reserve is home to other mammals, including: Indian leopards, sloth bears, gaur, nilgai, dhole, striped hyena, small Indian Civet, jungle cats, sambar, spotted deer, barking deer, chital, and chausingha. Tadoba lake sustains the Marsh Crocodile, which were once common all over Maharashtra. Reptiles here include the endangered Indian python and the common Indian monitor. 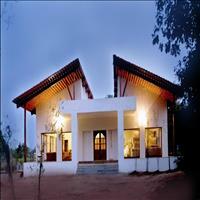 Terrapins, Indian star tortoise, Indian Cobra and Russel&apos;s viper also live in Tadoba. The lake is an ornithologist&apos;s paradise with a wide diversity of water birds, and raptors. 195 species of birds have been recorded, including three endangered species. The Grey-headed fish eagle, the Crested Serpent Eagle, and the Changeable Hawk-Eagle are some of the raptors. Other interesting species include the Orange-headed Thrush, Indian Pitta, Crested Tree swift, Stone Curlew, Crested Honey Buzzard, Paradise Flycatcher, Bronze-winged Jacana and Lesser Golden backed Woodpecker. Warblers and the black-naped blue flycatcher exist here and the call of the peacock may often be heard. 74 species of butterflies have been recorded including the pansies, monarch, Mormons and sword tails. Insect species include the endangered danaid egg-fly and great eggfly. Dragonflies, stick insects, jewel beetles and the praying mantis are other insects located in the reserve. The signature spider, giant wood spider and red wood spiders are often seen during the monsoon and soon after. Some hunting spiders like the wolf spiders, crab spiders and lynx spiders are also common. 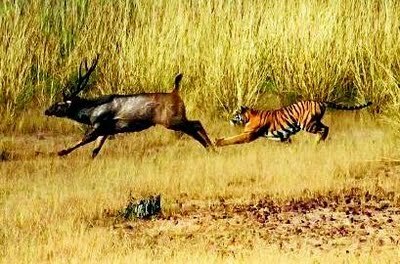 Located in the district of Chandrapur in the state of Maharashtra, Tadoba national park is the largest sanctuary of the state covering about 625 square kms of area. 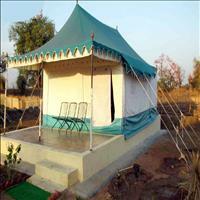 It is about 50 kms from Chandrapur and about 130 kms from Nagpur airport. 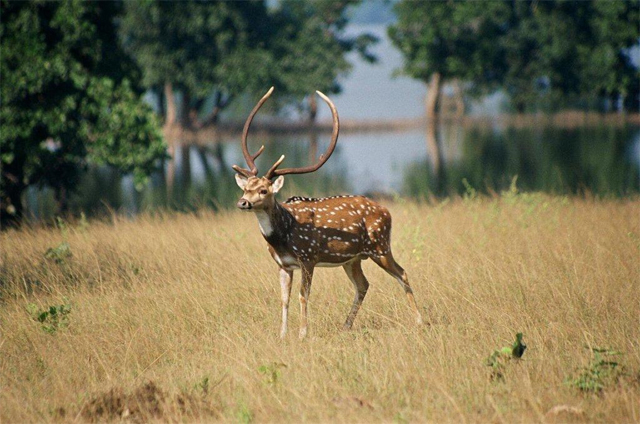 Tadoba reserve covers the Chimur Hills, and the Andhari sanctuary covers Moharli and Kolsa ranges. 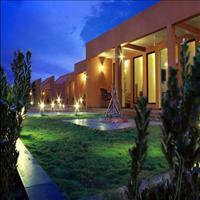 It’s bounded on the northern and the western side by densely forested hills. Thick forests are relieved by smooth meadows and deep valleys as the terrain slopes from north to south. Cliffs, talus and caves provide refuge for several animals. The two forested rectangles are formed of Tadoba and Andhari range. The area has a dry and harsh climate. Very hot during summers and cold during winters.